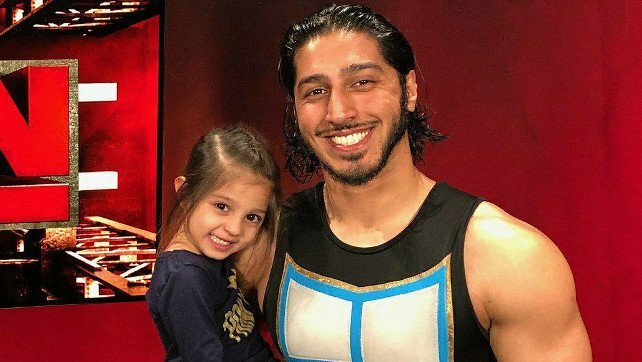 SmackDown Live Superstar Mustafa Ali was this week’s guest on the Talk Is Jericho podcast. The WWE Superstar opened up about working 205 Live, the Cruiserweight Classic, & how an encounter with Triple H inevitably led to a WWE job. The biggest issue other than style and size was the initial time slot for 205 because we were going on after SmackDown and that’s literally like the opening act going on after the headliners. I remember standing in Gorilla next to Ariya Daivari one time and we’re watching the main event of SmackDown because we’re gonna go out after it and it’s John Cena vs Randy Orton in a 2 out of 3 falls match. We’re just looking at each other like, ‘What are we gonna do?’ And it’s after the fact. Now that they moved us before SmackDown it’s a whole different world now because these fans are ready, they’re fresh and they just want to see wrestling now. Yeah, we still have to work to get ‘em, but if you’ve been watching the main event of 205 Live – and I totally vouch for it, I still totally believe in it – that main event always delivers. It’s always killer. It’s a good 15-20 minute match and they just tear it down. Obviously, I still go and I have this chip on my shoulder and if for whatever reason they crack that door open an inch, I’m gonna kick that damn thing down and the door cracked open….I took that opportunity and they go, ‘You have 5 minutes, first round with Lince Dorado. You’re losing and see you later.’ ‘OK, cool.’ Lince Dorado and I go way back. He’s a fantastic performer and we just went out there and we said, ‘We got 5 minutes. We got to make them talk about us for 5 minutes.’ We did that and then I think because they saw how hungry I was for it and how detailed I was. The producer for the match was Sara Del Rey… and I think she could kind of tell because I was talking about camera angles, ‘What’s the best corner to that out of?’ I got invited back to do some NXT work, just like enhancement stuff. It got to the point where my friends that were in the Cruiserweight Classic were getting signed and they’re talking about contracts. Nothing for me. Eventually I see Hunter at TV taping and I’m like, I’ve got to shoot my shot, man. He’s seen me like 5 times, so I walk up to him and I go, ‘Hey, I hope this isn’t too blunt, but you’ve seen me like 5-6 times, man. You know when you know. What’s the deal with me?’ He was being nice and he was like, ‘There’s so many dogs and so many bones and I can only give out so many bones. Be patient. Keep working.’ I was like, ‘He’s just giving me the play, like get lost kid.’ A week later I got a call, ‘We’d like to sign you to a deal. We’re gonna start a cruiserweight division and we’d like you to be a part of it.’ We talked about SmackDown, me just showing up. It was the exact same thing. I kind of just went up and asked for it. I went from being the backup to getting a deal.